Are you unable to remember the last time you took a shower alone? Do you feel like you’ve lost your direction and don’t know how to organize yourself? 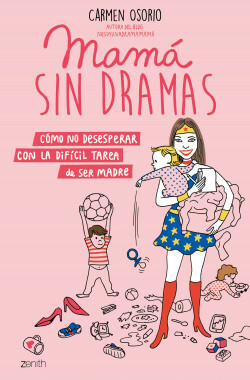 Don’t worry, Carmen Osorio, creator of the blog nosoyunadramamamá, will reveal to you how she has avoided despairing in spite of exhaustion, nerves, chaos and running from one place to another, and will show you that what you’re facing is what all mothers everywhere in the world face. This book, full of ideas and advice, will help you cope with those moments when you feel overwhelmed, which drive you crazy and sometimes seem insurmountable. How to face the difficult task of being a mother without despairing.